When you are looking for knowledgeable and friendly auto mechanics in Truckee, look no further than the “home team” at Quality Automotive and Smog. There is a reason “quality” is in the name of our auto repair shop: Quality is the foundation of the customer experience we call ServicePlus. From the moment you experience our shop, you will know we aren’t like any other shop in Truckee or North Lake Tahoe. 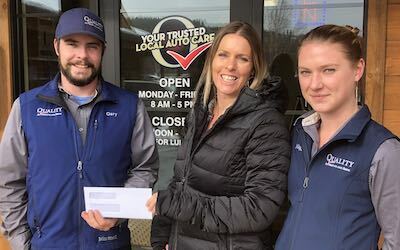 Quality Automotive and Smog knows how important it is to partner with you on the care of your vehicle because auto repair and service looks much different here in the mountains where vital parts wear differently. 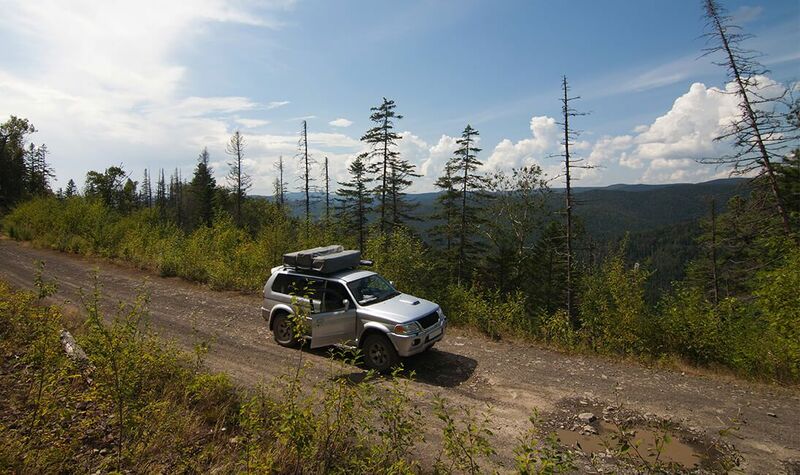 Maintenance needs are increased and the weather, both summer, and winter, take a toll on any vehicle. 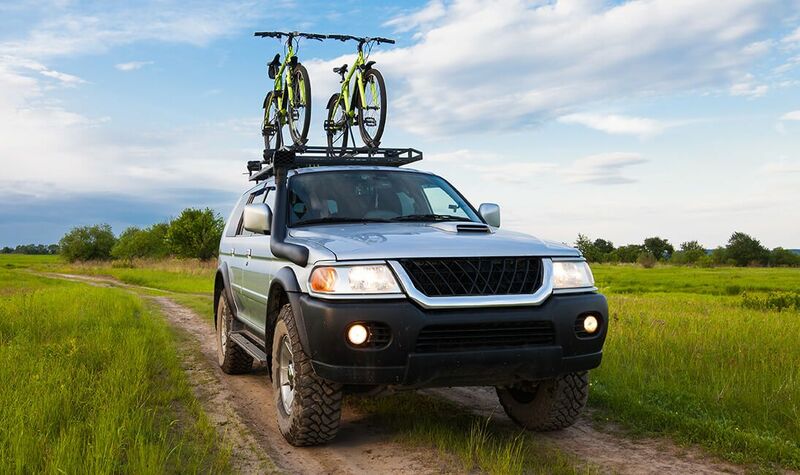 Keeping your vehicle on the road requires unique, specific, and expert maintenance and the partnership customers develop with Quality Automotive and Smog. 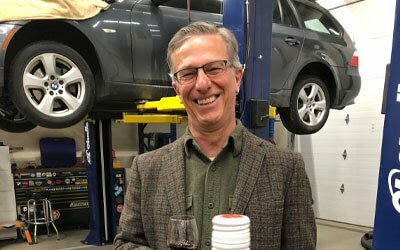 The Greenos, owners of Quality Automotive and Smog in Truckee, understand that the harsh conditions affect your vehicle in ways that city driving does not. 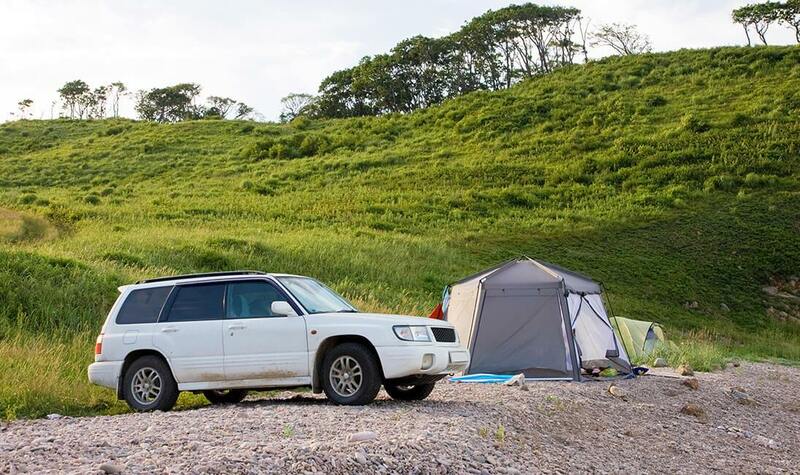 If you live here, even part-time, you are an adventurous, hardy individual who demands a lot from your automobile. The “home team” at Quality Automotive and Smog identifies with that need and applies it to the work you requested on your vehicles. Every “home team” member receives extensive, ongoing training and education to help them be the best they can be under the hood and across the counter. Quality Automotive and Smog specialize in all-wheel and 4-wheel drive because it’s the only kind of vehicle that can survive well in Truckee and North Lake Tahoe. We’re great with the other ones too, just in case! There is so much more than simply fixing cars, trucks, and SUV’s here at our auto repair shop. We invest in our people, our customers, and our community, which is essential to what makes us stand out. Quality Automotive and Smog knows we wouldn’t be here without you, and in fact, we wouldn’t want to be. 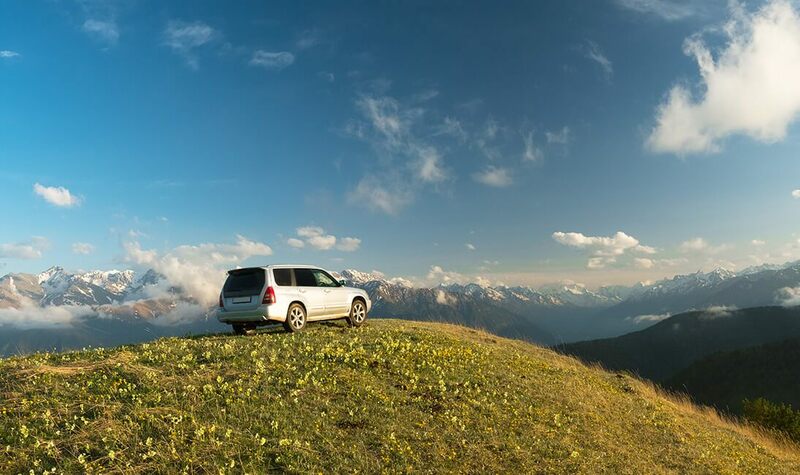 Our success depends on grateful customers who want to make a smart decision about their vehicles. Our customers are our neighbors, friends, and partners in auto care. By partnering with our customers, we value our commitment to making a difference to you and our local community. We always encourage you to join us in the giving-back process. For example, many customers generously gave back their ServicePlus dividends to support relief to fire victims from Paradise, CA. We also volunteer with Meals-on-Wheels, the KidZone Children’s Museum, and other non-profits in Truckee. We are proud to act locally and be a positive force in our community while always being your Trusted Local Auto Care. 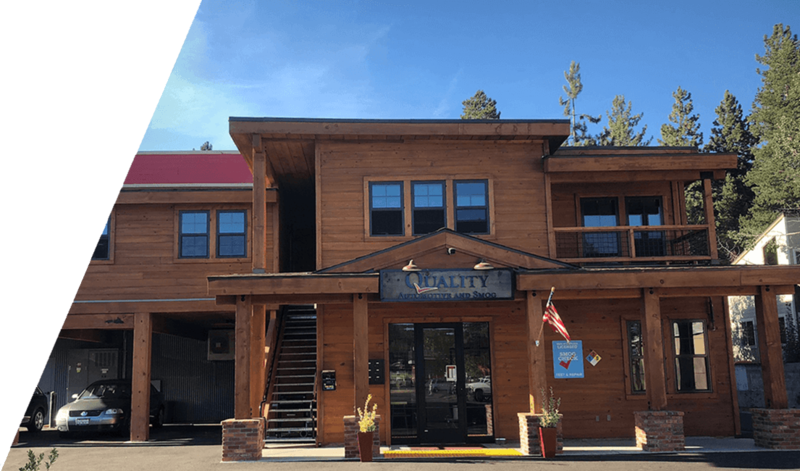 You will not find a more qualified, honest, and friendly auto repair shop than Quality Automotive and Smog in Truckee. 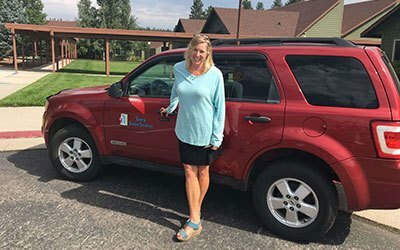 Whether you live in Tahoe City, North Lake Tahoe, Kings Beach, Carnelian Bay, or beyond, we are your home team for all things auto repair. We are loyal to our customers and encourage you to take advantage of our ServicePlus Red Check program that includes an extended warranty, free local towing, seasonal benefits, and a dividend program. We are conveniently located at 11500 Donner Pass Rd, Unit D, Truckee, CA 96161. It may not be easy to find us, but it is easy to find a good cup of coffee, food, or a new pair of skis/bike nearby while we work on your car. 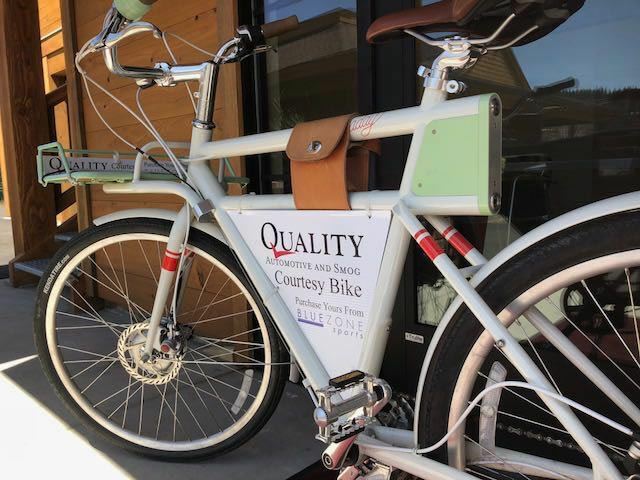 In the Summer, you may consider borrowing our electric bike to tour Donner Lake while you wait. Open Monday - Friday from 8:00 AM - 5:00 PM, and closed from noon to 1 PM. Request your appointment online today! You Get ServicePlus With Us! Trusting Quality Automotive and Smog as your automotive repair and service specialist, just got better. One of the many advantages of being a customer is our NEW ServicePlus benefit. It's complimentary to all customers! Smog check customers do not receive the Red Check Inspect benefit. WE CARE ABOUT OUR CUSTOMERS, THEIR CARS, AND THE COMMUNITY! We hosted Dean Schaecher and Christa Finn, owners of The Pour House to celebrate their "Small Business of the Year" award from the Truckee Chamber of Commerce. Poured some great wine with our customers and friends. Congratulations to the Big Brothers/Big Sisters of Nevada County and North Lake Tahoe who earned this years Season of Giving donation! 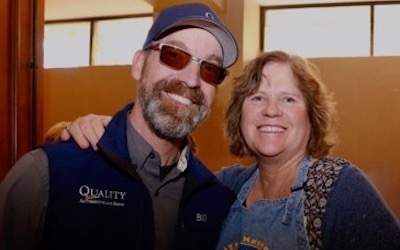 Owner, Bill Greeno joins Carol Meagher (KidZone Museum), at an event on 11/1/18. QAS is proud to join "Visionary Circle of Giving". When Quality Automotive and Smog says they are the "locals favorite", it goes beyond providing a high quality vehicle repair and friendly customer service. Super nice guys there and very sharp with European vehicles. They stock all the standard parts and do their best to get you in and out of there as soon as possible. I highly recommend. 5 star review by Emily E.
Staff is friendly and efficient. Facility is very clean. Very honest in their assessment of what repairs or maintenance needed attention or not. Overall a very good experience. I really appreciate the thoroughness of Quality Automotive and Smog, and I think it's cool how they use modern systems to track my car's health. I saw photos of damage that I need to repair, and it's good to have a visualization of my car's health rather than simply anecdotal. Great job! Was thinking I had to go to the dealer, but Gary knows more about Subarus than anyone I ever met, probably because he owns one. Quality got the job done early too. For a big job, like the 60K maintenance, you can just take the TART bus right by the highway to play at Squaw while the work gets done. While you’re waiting feel free to visit some of the other local businesses in the area. Receive our extended local warranty on parts and labor as a member of our FREE Red Check Club. That's three times the standard industry warranty. Plus, free local towing and more. Receive a Complimentary Car Wash! Provide prompt and professional service. Ensure we clearly understand your service request. Provide you with a clear explanation and estimate of the service that is matched to the symptoms you describe. Ensure your vehicle is delivered when promised. Ensure you understand exactly what steps are needed to repair your vehicle properly.